All INDIAN CREEK PH IX homes currently listed for sale in Jupiter as of 04/19/2019 are shown below. You can change the search criteria at any time by pressing the 'Change Search' button below. "Rare opportunity for '' Sweat Equity '' in highly desirable Indian Creek Phase 9 ! 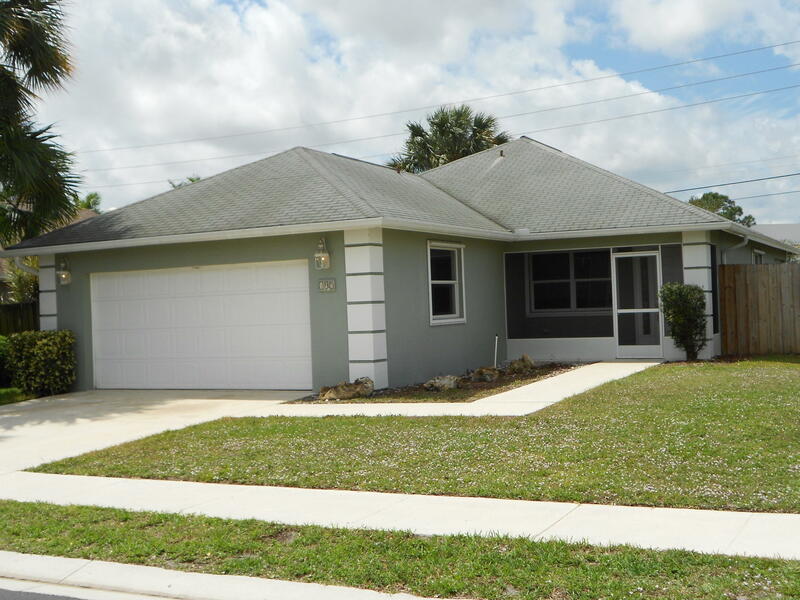 Large CBS 3 Bedroom, 2 Bath, 1,431 SF of living area, soaring vaulted ceiling & 2-car garage. This home has amazing potential and is in need of paint, carpet and some repairs/updating. Priced way under market for immediate sale! This location is truly in the heart of Jupiter with easy & quick access to I-95 & the FL Turnpike. Super Low HOA dues, great Jupiter Schools and option to purchase membership in the Indian Creek Swim & Tennis Club across the street. FAR-BAR CASH CONTRACTS ONLY - AS IS - 10 DAY RIGHT TO INSPECT - PROOF OF FUNDS REQUIRED ON ALL SUBMISSIONS.Seller does not warrant the condition or function of any existing personal property. HOA Restrictions Info and Buyers App are attached."